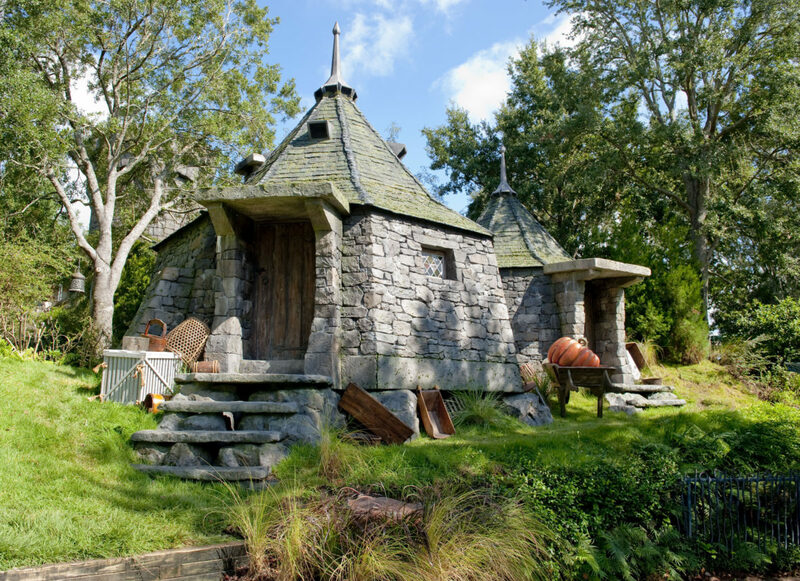 HAGRID'S HUT - An authentic replica from the Harry Potter films, guests will pass by Hagrid's hut on their way to the Flight of the Hippogriff family-friendly roller coaster. Just before they board, Hagrid instructs guests on how to properly approach and fly on a Hippogriff. HagridÕs hut will be seen as part of a feature about The Wizarding World of Harry Potter on NBC's The Celebrity Apprentice this Sunday, April 4. The Wizarding World of Harry Potter grand opens on June 18.